If you’re prepping your home for a move, and you have lots of breakable glassware, then you have a challenge on your hands! Not to worry! Some packaging from Canada can help you secure your valuables and keep them safe during even a cross country move. With this guide, you’ll learn how to upgrade your packaging and how to safely stow the most valuable breakables in your home. How many times have you moved? Three, four times in your entire life? That’s a few hundred, perhaps even a thousand dollars you may have spent on disposable boxes over the year. Boxes these days are quite expensive, and they don’t last. That’s why more homes are upgrading their storage to last for the long term. First, install some shelving in the garage. 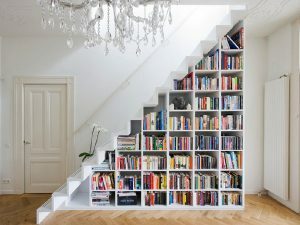 You’ll be glad you have that shelving for the new plastic boxes you’ll be getting. Clear plastic is preferable. You’ll label every box, of course, but clear plastic is good for spotting certain items (like the Christmas ornament your wife loves). Upgrading to plastic will keep your breakables safe, easily storable and ready for whenever you need them next. When you’re trying to package plates, glasses and other breakables, most people wrap them in newspaper and wonder why they arrive to the new home shattered. One or two layers of something that is paper thin isn’t going to save your glassware. Flexible polyurethane foam is something most companies use, but most consumers don’t. You can easily cut and shape it to fit the mold of whatever you need with little more than a craft knife. Cut a strip through the middle, and you can use it to secure cups or silverware. You can also used closed cell foam from Canada that has been cut into sheets. Place the sheets above and below any electronics you’re storing. You can protect CDs, old books and just about anything flat with this too. The foam adds stability to the package, and helps protect against shock. If you drop the package, the foam that occupies the package absorbs the impact. Your breakables will be safe, especially with closed-cell foam. That type of foam is typically higher in density, which makes it perfect for packing materials. You can order foam cut to sheets, then re-shape as you need it. Not much planning required, and the packaging will last for most of your life time. While it seems expensive to upgrade, you’ll be glad you did when you’re unpacking your breakables in the new home. Foam Factory, Inc. is Southeast Michigan’s largest retailer and distributor of foam products to the United States and Canada. Professional stagers can help turn your home into a luxurious piece of real estate. As a homeowner, there comes a time where you move on from your old home – due to a new job, or other personal matter. Now, the first thing that you’ll have to consider is how you are going to put your home up for sale. 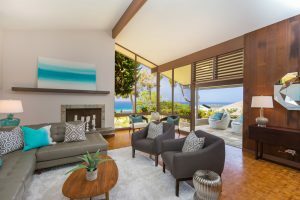 This involves a certain regard to cleaning and reorganizing each room in order to make it appealing to the prospective buyer. Fortunately, there are specialists that can do this for you, known as stagers. Stagers are professionals that have a keen eye for design. They have also worked in the real estate field long enough to know what works the most. If you are considering a stager, know that you’re going to get the advice of a seasoned team that will work hand-in-hand with you to achieve the highest value that your home can garner. This can be beneficial for you in the long run as home prices are continuously increasing. And, not only this, but there is a possibility that you could even receive a couple thousand more for a home. Be sure that you select the right stager. Contact them and set up an appointment. If the business specializes in the style of home that yours is currently modeled around, even better. This will only benefit you as they will naturally gravitate around their preferred specialty. A stager that works with any design may be a solid option, but one that is known for specific styles tend to be the best hire. Kuba Jewgieniew is the head of Realty ONE Group, a real estate brokerage firm that is dedicated to providing the highest quality customer service as well as assistance when it comes to anything real estate. What do you do if one of the senior level managers leaves your project? Do you have any plans that you can put into motion? That’s where construction advisory services can help. Bringing your dispute to court can be a good final resolution if you can’t solve the dispute in another way, but there are methods to keep those disputes from ever seeing the inside of a courtroom. The simplest method is construction claims resolution. Determine what the claim is, file the proper paperwork and wait for the dispute to settle. That’s where things get tricky. If you don’t have a system in place for gathering and filing important paperwork, you’ll quickly lose contracts and receipts. If you’re not used to project planning, make sure you hire a consultant to help you review the plans. 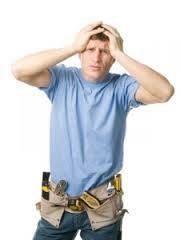 One of the most common claims is not accurately foreseeing the scope of work. Another method crews use to avoid court cases is to utilize private mediation. A private mediator is someone who is familiar with the laws surrounding the case, but not the case itself. Mediation is useful when you want to settle a dispute without burning bridges, and it often ends in an amicable agreement. You need to prepare your documentation for mediation, and to get your story straight. Speaking with a consultant can help you if you don’t have a team in-house to review claims as they come in. As a last result, you may be left with no alternative than to go to trial. In these situations, make sure you have an expert witness lined up to help explain your side of the dispute. Lyle Charles Consulting has offered crisis, turnaround and short-term management solutions for commercial and residential projects for more than 30 years. Outdoor furniture is meant to withstand the elements, however your outdoor cushions may not be able to handle harsh weather. Here are some frugal way to ensure that your furniture and cushioning last alot longer. Sewn covers – If you are good with a sewing machine, you can easily create cushion covers for your wicker sofa and chairs. Start off by buying a fabric that is sold by the yard or in bundles of 18-22 inches. You can select a fabric that matches your furniture and style. Spray paint – Spray painting stained wicker chair cushions is a easy way to get rid of stains. Just make sure you use a satin spray paint in the exact colour of your cushions. Before you spray your cushions, test a the spray on a small section of your cushion fabric. Patch it up – For cushions with small tears and holes, use fabric and thread of a similar colour to patch the damaged sections. If there are many patches, add some dummy patches to create interest and personality. 4. Drape it – A quick way to cover patio cushions, is to drape a fabric over it and then tuck in the ends. This is a temporary solution, but one that will work well when unexpected guests or an event arises. 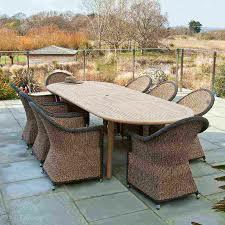 Wicker Paradise provides the finest wicker furniture for indoor and outdoor use like lloyd flanders replacement cushions sale. This is the most common and one of the oldest types of air conditioners used today. With this type of air conditioner, the compressor, condenser, expansion valve or coil, evaporator and cooling coil and any other units are all in a single unit. It gets its name from the most common mounting location which is on a window sill. Unlike the single unit window air conditioners, a split a/c has an indoor and an outdoor unit. These two are connected through ducting for the air to be sent and returned from the outdoor unit which contains the compressor, condenser and expansion valve. The indoor unit on the other hand contains the evaporator or cooling coil and the cooling fan. These units are required if you want to cool more than one or two rooms or larger areas. In this situation the cooled air is sent through various ducts that cool different sections of the rooms. 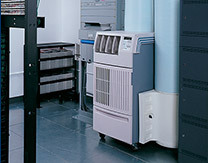 This is a common design for a server room air conditioner where the cooling is sent out through raised floor vents. The final and most expensive type is the central air conditioner. This is the system that cools hotels, malls, factories and large offices. This is when it becomes too costly to run individual or multiple packaged units to cool several areas. The larger the space the more economical it is to run central air conditioners.